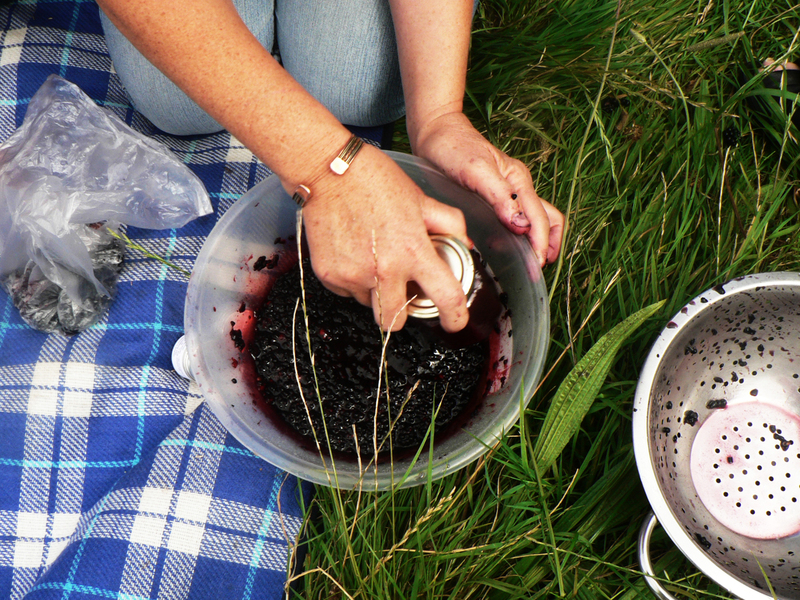 The blackberries were so gorgeous in Ruskin Park that we started the walk there this month. 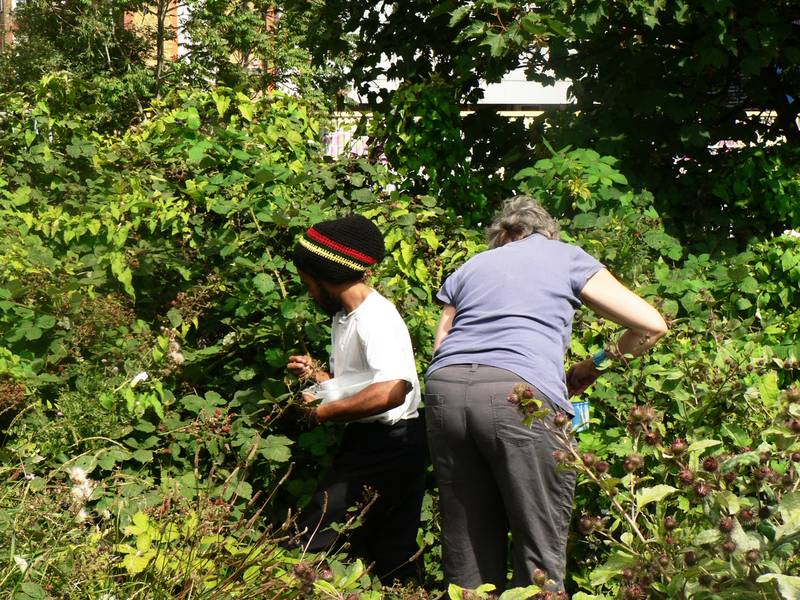 We made Blackberry ice cream in an ice cream ball maker and ate it a few metres from the extensive brambles that run alongside the railway line from Denmark Hill to Victoria. 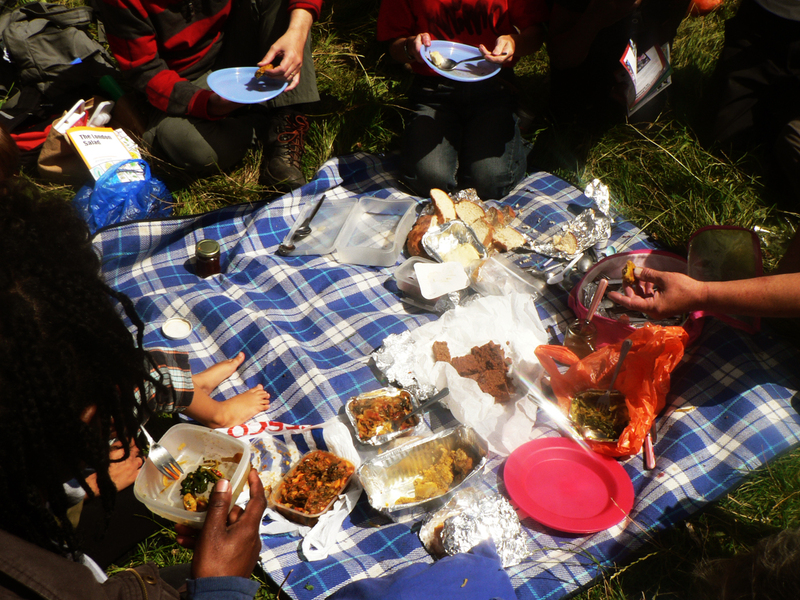 We tried mallow / ewedu stew made by John who'd followed the recipe in the London Salad. Delicious! Wash and chop the plantain leaves. Divide into two – put one half in a bowl and the other half in a pan. Cover the plantain in the bowl with the water and leave to infuse for 10 minutes. In the pan, add the olive (or sunflower) and almond oils to the plantain and heat gently to simmering point. Don’t allow to boil – if it starts boiling, take off the heat immediately. Once at simmering point, remove from the heat and leave for 10 minutes to cool. Drain the infusion, taking out the plantain leaves. Set the liquid to one side. Drain the infused oil into another pan, extracting the plantain leaves. Heat the oil again. Add the beeswax and emulsifying wax and melt, stirring – you are aiming for a foamy consistency. Add 16 tbsp infused water to the pan and whisk to achieve a consistency like salad dressing. Add the glycerine and vitamin C powder. Pour into sterilized glass pots and seal. USE: Apply to affected area as often as needed. STORAGE: Keeps for 3 months in the refrigerator in an airtight container. One thing to make sure is that you pick your Ash Keys when they are very young, and the small seed within the ‘wing’ has barely developed. You can see the seed if you hold the Ash Key up to the sunlight. Wash your Ash Keys, then place in a pan covered with cold water and bring to the boil. Simmer for 5 minutes. Strain off the water and return to the pan with some fresh water, then bring back to boil and simmer a further 5 minutes. Drain off the water again, allow to ‘dry’ slightly and then pack into warm dry jars, but allow an inch of space from the top of the jar. Put the spices, salt and sugar into a bowl and add the vinegar. Put the bowl into a saucepan (cover it), add some water (not to the bowl but just into the pan) and bring slowly to the boil. Allow to gently boil for about 5 minutes, then remove the bowl and let it sit for about 4 hours or until it is cold. Strain the liquid through a muslin or sieve into a jug and pour over the Ash Keys filling the jars right to the brim. Store for 3 months and let the pickle ‘mature’. 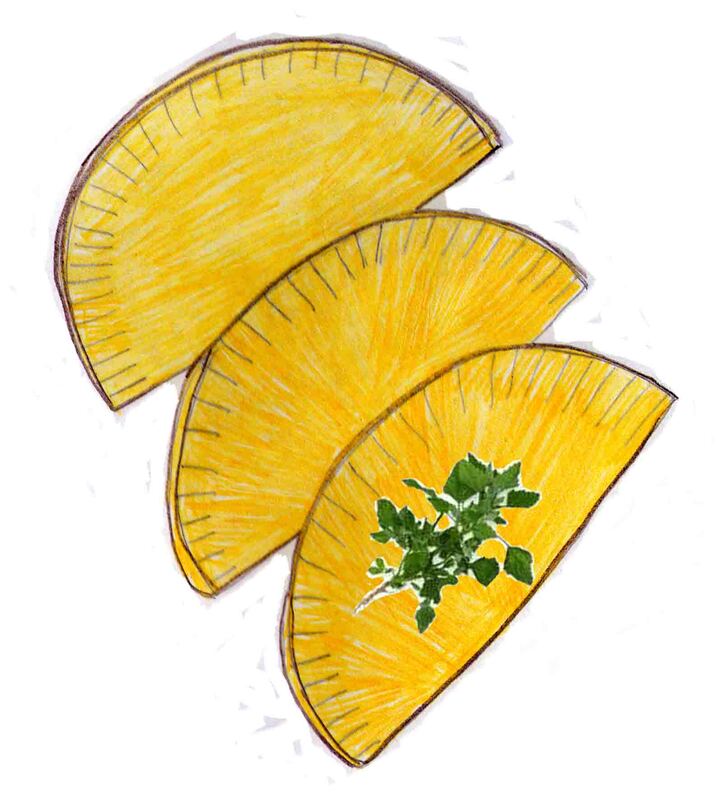 The classic Caribbean patty crust is yellow to orange in colour and this colouring is either derived from the oil used to make the patties or from turmeric or annatto seeds. Sift together the flour, turmeric (or colouring) and salt into a bowl. Cube the butter then add to the flour mix and rub in with your fingertips until the mixture resembles fine meal. Add just enough water to bind the mixture as a firm dough. Turn onto a lightly-floured surface and knead for a few minutes, or until elastic. Roll the dough out to about 3mm thick then cut into rounds about 15cm in diameter (use a plate as a template). Traditionally these are filled with a whole range of meat or vegetable-based fillings, are folded into half-moon shapes, sealed, glazed with milk then baked in an oven pre-heated to 220°C for about 20 minutes, or until golden. If you want a crumblier pastry then when you roll the pastry out, melt some lard, brush this on top of the pastry, fold over then roll out again. Repeat this process of rolling, brushing, folding and rolling 4 times in all. This way you will get a layered pastry that will puff up and become crumbly during baking. 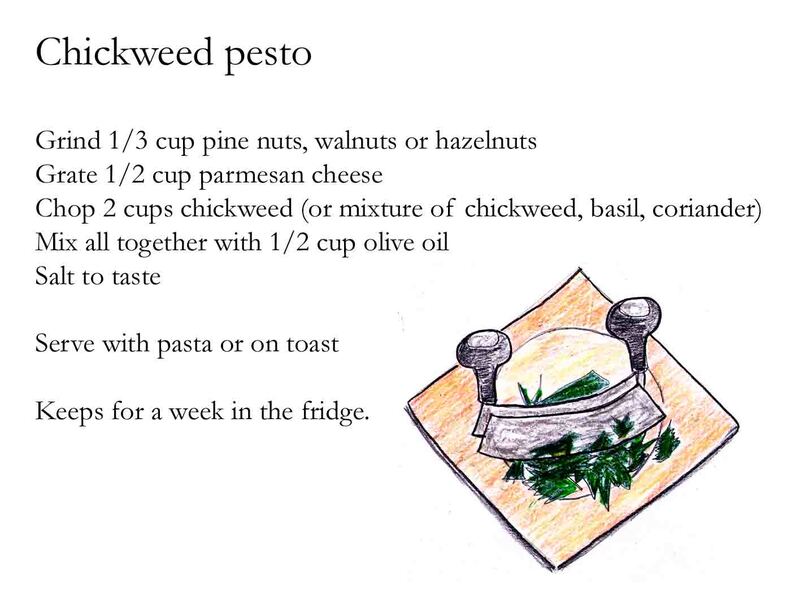 And here’s the chickweed pesto recipe.